It is my great pleasure to announce the selection of Kevin Klauer, DO, EJD, FACEP, as AOA chief executive officer, who will join us on or before May 31. Dr. Klauer will be the first osteopathic physician to lead AOA operations since 1981, and he arrives at a pivotal moment for the profession. The Board of Trustees is confident Dr. KIauer is the right person to help lead this fast-growing, increasingly diverse profession into its next phase, positioning the AOA for continued success as it evolves to meet the changing needs of our physicians and students. As CEO, he will have primary responsibility for strategy, operating results, continued organizational growth and advocacy for the osteopathic profession. Working with the Board of Trustees, the Executive Committee, regional associations and staff, Dr. Klauer will advance the organization’s strategic vision and execute the programs and activities of the AOA. Dr. Klauer joins the AOA from TeamHealth, a leading clinician services organization, where he most recently served as chief medical officer for hospital-based services, chief risk officer and executive director for the patient safety organization. He also is an assistant clinical professor at Michigan State University College of Osteopathic Medicine and a clinical assistant professor at The University of Tennessee Health Science Center College of Medicine. 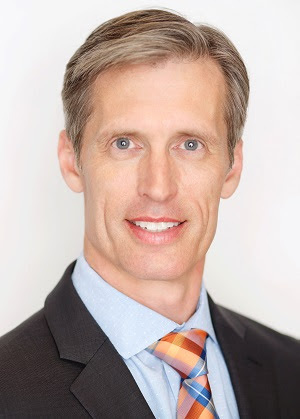 A 1992 graduate of Des Moines University College of Osteopathic Medicine, Dr. Klauer is board certified in emergency medicine and holds an executive juris doctorate from Concord Law School. He is a member of the American College of Emergency Physicians board of directors, where he is also medical editor in chief for ACEP Now. On behalf of the Board of Trustees, I thank AOA Past President John Becher, DO, chair of the search committee, and all of its members for their outstanding work and dedication to the CEO search. With the continued growth of our profession, and the ever-shifting health care paradigm, AOA must continue to be relevant and responsive to our physicians, medical students and institutions. The path forward is filled with possibilities and promise as the osteopathic community continues to provide high-quality, patient-centered care throughout the country. We look forward to partnering with Kevin to advance this proud profession. Please join me in welcoming Kevin Klauer, DO, to the AOA!